The BMW M5 is a real legend in the performance car segment and in the F10 Competition Package Guise, can keep pace with a series of heavy second-door mid-engine supercars. 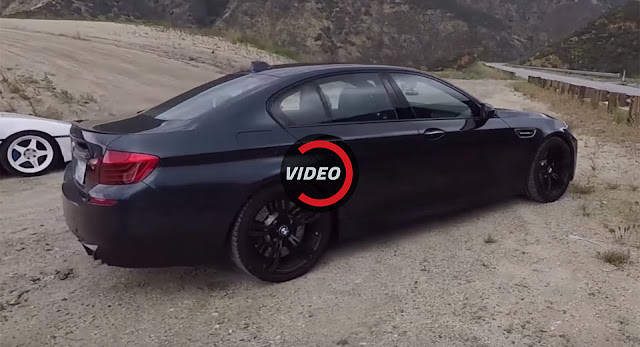 Before the replacement is presented in the near future, the smoking tire Matt Farah jumped behind the wheel of an F10 M5 competition package to explore what makes this highway cruiser an effective weapon on the road. Power for the car comes from a 4.4-liter twin turbocharger V8 engine, which produces 567 hp and nevertheless does not have the exhaust gas note of its V10-powered predecessor, it offers some simply only driving nerve kitzel, partly thanks Its wide power band and the exceptional double clutch transmission. To meet the F10, the new M5 must be serious. We can not wait to find out in full what BMW has in stock. 0 Response to "Matt Farah leaves farewell to the M5 competition package"